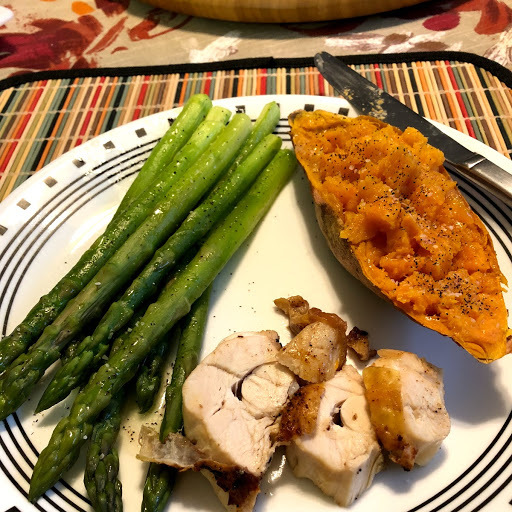 Cooking Friends » General Discussion » What's Cooking This Month? » December 2018 ..... What's Cooking? December 2018 ..... What's Cooking? 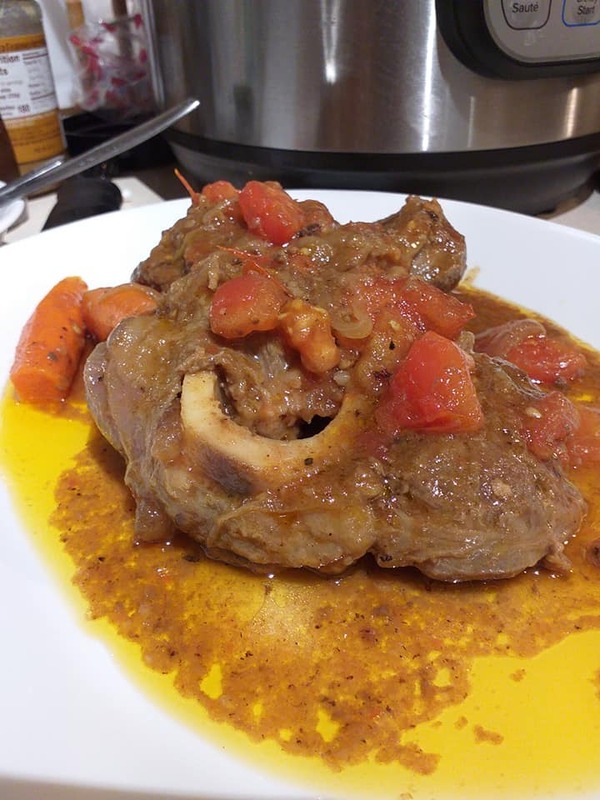 I'm planning to cook for Christmas Eve dinner, I'm thinking to roast some beef, prime rib is way too expensive for my budget, I will need 8 to 10 lbs, I saw some recipe using beef rib roast, I'm wondering if it is the same as Rib-eye? I love rib-eye but is there other cut of beef beside prime and rib-eye that good for holiday roast? Hi Imelda. It's Me! ... Jimmy. Good to hear from you. You are so busy girl ! When Tina wakes up , I will ask her about the meat choices for roasting. Something less costly ok? ....... She knows all the meat cuts from working in the supermarket meat rooms for years. I am still up. I am cooking smashed home fries potatoes and onions for Tina in the morning. She is working at the church soup kitchen. I want her to have her favorite of fried potatoes before she goes. How sweet of you Jimmy, preparing Tina's favorite breakfast, and bless Tina for always volunteering at the church. I made pizza for dinner. I had just pressed the dough into the pan and turned my back to grate some cheese. When I turned around I found FURRENSICS! I made a batch of English butter fudge for the first time. I buttered the pan and poured in the fudge and let it cool. It is a sugary type fudge. When it was cool, I couldn't cut into it. I couldn't budge it out of the pan. I put the pan in a sink of hot water to see if it would soften a bit. Nope. I then microwaved it for 30 seconds and that did the trick. I was able to cut and lift out the fudge. It wasn't over-cooked, it just wouldn't come out of the pan. Next time I will line the pan with no-stick foil that has been buttered. Bugster2 wrote: I made pizza for dinner. I had just pressed the dough into the pan and turned my back to grate some cheese. 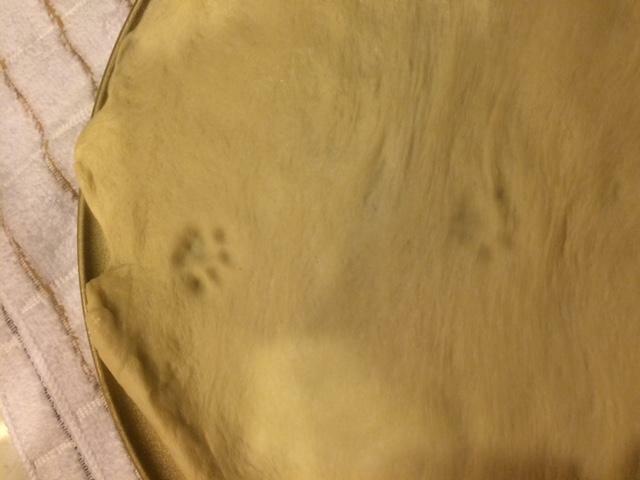 When I turned around I found FURRENSICS! OMG.....those look like COUGAR tracks !!! Run for your life!!! Imelda, Prime rib roast, rib roast are both cuts of meat from the same part of the cow that ribeye steaks are cut, it is just the roast includes more than one steak. Sometimes a rib roast and a prime rib rib roast are different only because one might be boneless while the other still has the rib bones attached. Prime rib and rib roast are the same....only difference is the grade of beef. I've had lesser costly rib roasts for the holiday, a choice grade or even a select grade can be just as flavorful. I think the main thing is not over cooking the beef. I always pull mine out of the oven when the center gets to 125 degrees and then tent with foil and let it rest for 30 to 40 minutes sitting on the counter near the warm stove. We like our beef on the rare side of medium. Anyone who likes well done gets the end cuts, or the next cut put under the broiler for 2 minutes. The butcher will cut the meat off the bone and then re-tie the bones for roasting. It's called "easy carve" rib roast. That way, when you roast your meat it stays rarer on the inside and all you have to do is cut the strings and the "bare" roast lifts off the bones and is easy to slice to serve. The prime grade roast I bought was $15/pound regularly but with the 25% discount it brought the price down to 11.25/pound. I usually plan on 1 pound per person because, unlike most meals, I DO love leftover prime rib for the best hot roast beef sandwiches you've ever tasted! I think I'm going to LOVE, LOVE, LOVE my new induction range. It's shocking how fast it heats up food. Last night I cooked fresh green beans in a large pot filled half way with cold water. I put a lid on and put it on high, as I've always done, to have it come to a full rolling boil fore reducing the heat to a simmer. It was boiling in 2 to 3 minutes! Shocking! And when I reduced the heat it instantly reduced to a simmer without any carry over wait when it would normally boil over. Too cool! I'm actually considering getting a cast iron grill pan that will let me sear steaks or chicken with the little ridges. Having such great control of the temperature is such a joy to experiment with. Dane is at his sister's today. He'll take her out for supper. Me? I'm having leftovers ((UGH!)) and an apple for dessert. We made up fruit trays, veggie trays, meat and cheese trays etc. . I hope they will be hungry, I don't want to have to deal with leftovers. Of course, I, and my other two helpers had to test some of the things we were putting on the trays, just to make sure they are good enough for our neighbours in the building. LOL! THat's why I don't want any dinner. Lore, you are such a good neighbor! I'm sure everyone involved will be amazed at the array of foods you and the team put out to enjoy. I hope you have a day of rest planned for early in the week. I'd love to go for maybe a week or two to a cooking school, just for fun. 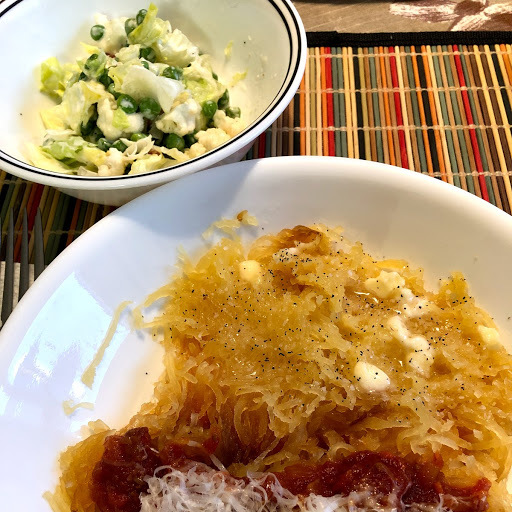 I looked in the refrigerator this morning as I was grabbing a couple eggs for my breakfast and saw the two halves of spaghetti squash I baked off the other day when I did the acorn squash for supper. I really need to get them used before they get too old to eat and I have to sneak them in the trash so the 'food-waste' policeman doesn't catch me. So, tonight will be marinara on spaghetti squash. Since it's such a 'light' meal I decided to make a cauliflower/pea salad to have with it. The two don't normally go together but it's what I had available and I know we'll both enjoy the hearty salad. 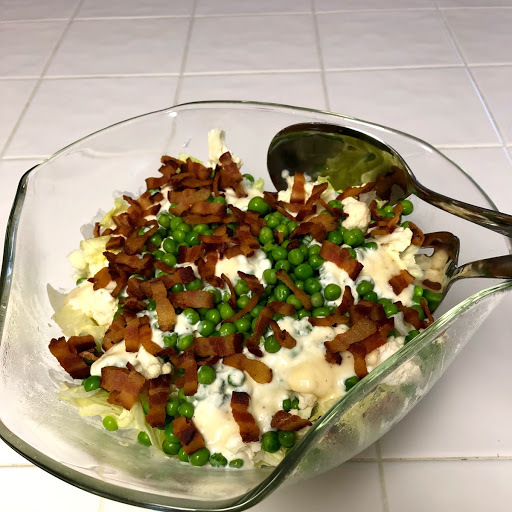 It's a layered salad with ice burg lettuce, raw cauliflower cut into little bite size pieces, thawed and well drained frozen peas and BACON! The dressing is mayonnaise, shredded parmesan & sugar. Normally I sprinkle in some sliced green onions but don't have any so I just ran a sweet onion over the microplane to get a bit of onion-y flavor in the dressing before I microplaned the parmesan cheese. When Grandma made the salad she did it layered and let it sit in the refrigerator overnight. I've learned over the years that you just have to let the mixed dressing sit long enough for the sugar to dissolve into the mayo and then dab it on the top of the salad in two layers. The crispy bacon is held until serving to sprinkle over just before it gets tossed together. Imelda..... What beth and Norm said is correct. You want to go for a Choice rib roast, and ask the butcher to cut and tie it. When the roast is done, remove the string, and put the meat on a plate and then put the bones in the oven to get roasted; to munch and nibble on the bones. It's fun and delicious. Select is a dryer cut, and be careful asking for prime. A lot of stores will push choice to the customer as prime. Tina said she witnessed that many times. Eye round roast would be great, but never tied, because that is not a true eye round. An true eye round roast should not me tied at all. Then there are other cuts such as sirloin tip roast then top round roast. The stores usually have specials this time of the year. Check the store circulars on line. Prime rib is often called prime even though the cut may not really be prime grade. It's kind of a misnomer. People often call it that even though it isn't always really prime. 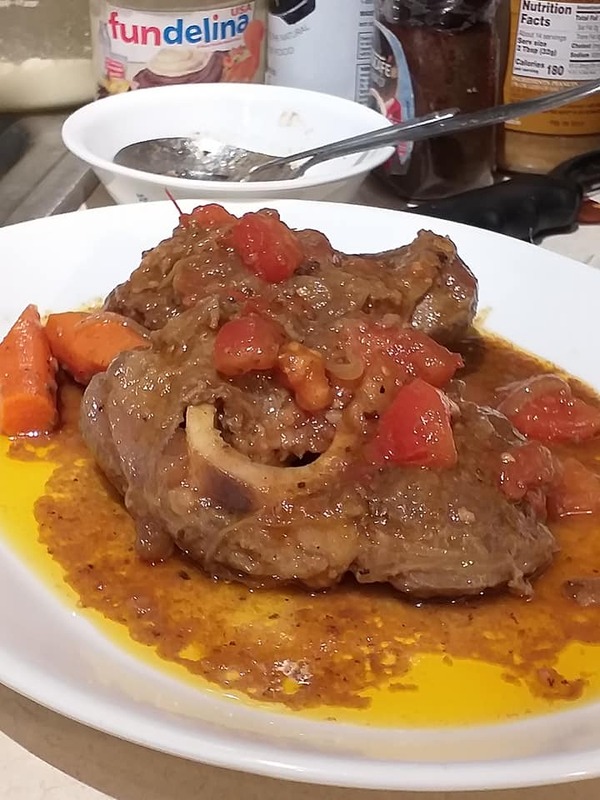 I cooked some beef shank, Osso Buco for Dirk to bring to his parents, he will drop me off at the mall and come to pick me at 6 PM, I'll have some ME time wandering around the mall. NormM wrote: Prime rib is often called prime even though the cut may not really be prime grade. It's kind of a misnomer. People often call it that even though it isn't always really prime. bethk wrote: The stores usually have specials this time of the year. Check the store circulars on line. You should pay $5.89 to $5.99 per lb. on sale. Beth is right. Lots of sales soon. Found out that 'leftover' squash is the way to go with spaghetti squash. By reheating it in a low oven the moisture content was really reduced and it didn't thin out the marinara ~ learn something new every day! I threw a tri tip on the grill, made wedge salads with Bob's blue cheese dressing and made a batch of fettuccini Alfredo. My gut is protesting the assault. I rendered some fat from the tri tip. What can you do with rendered beef fat besides Yorkshire pudding? Beef gravy? Now why didn't I think of that. Good idea. 76 Re: December 2018 ..... What's Cooking?